For a fresh start on your kitchen garden, flower garden or any garden bed, here are some good garden practices and tips for better beds for any gardening season! 1. Start at ground level. Work in wheelbarrow loads of organic soil builders (see our list of suggestions below). 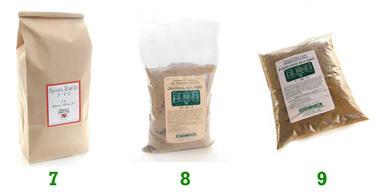 In order to be healthy, all plants need basic nutrients, including nitrogen, phosphorous, and potassium (represented as N-P-K ratios on fertilizer and soil amendment packages). 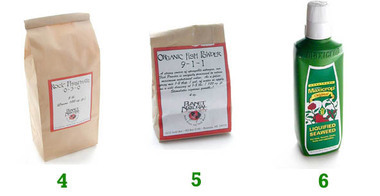 In balance, each of these nutrients promotes strong plant growth. Choose the needed nutrients for your garden on the basis of a soil test, to correct any soil deficiencies and to boost long-term soil health. Take advantage of the vertical space that exists in every garden - even the dinkiest ones. A handsome trellis, such as this one, not only provides a place for climbing plants to cling, but it adds the architectural element that many gardens lack: structure. 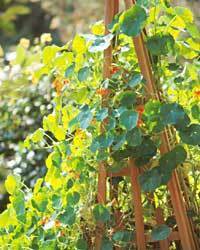 If you plant an annual vine on a trellis, you can change the look of the tower each year. 3. Plant the finishing touches. Before you add new plants to the garden, scrutinize the ones you already have: If they're not working, give them a yank and pass them on to a gardening friend. If plants fail to thrive in your garden -- they require too much water, for instance, or they fall prey to insects and disease -- replace them. 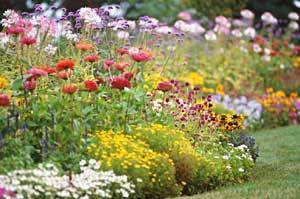 Pick new plants that thrive in the climate and soil conditions of your yard with as little fussing as possible. 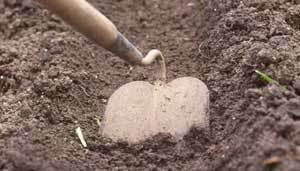 If your soil is heavy, clayey, and doesn't drain well, here's a tip: Dig a hole about 2 feet deep, fill it with water. If after 24 hours water still remains, drainage is poor. …work in porous [organic] material to lighten the subsoil. This is a wonderful post. Really informative. Thank you for sharing! Thanks for the great tips. What kind of porous organic material would you add to clayey soil? I use pumice stone... and some compost to round the whole thing out! Thanks for this, as I always feel like I don&#x27;t know what in the world I am doing when I get the beds ready- It&#x27;s like starting over every single time!